Thank you so much to Amy of 4 Paws Pet Care for looking after my cat while I was away over Christmas. The reassuring email and photos I received of Ceffi looking happy, contented, and well fed at home put my mind at ease. Amy was extremely conscientious in taking all the details regarding feeding routine etc. and spend time during visits socializing and playing with Ceffi. I would not hesitate in contacting Amy again to use 4 Paws Pet Care. Thank you, an excellent service that I would recommend to others. Ms Customer : Fowey : 21 April 2012 : Pet Name: Ceffi. The best dog walker and animal carer anybody could ask for!!! Please people use this company!! Amy has been fantastic! From coming over to meet the dog previously to then spending time with her when needed at such sort notice! Dot is now fast asleep after her fun filled day with Amy! I could not recommend this business enough! I'm very cautious to who I will leave my puppy with and I never ha any doubt in Amy, she has been brilliant from the word go! Mrs Hancock : St Austell : 18 April 2012 : Pet Name: Dorothy. 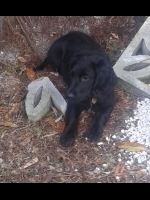 Mrs Humphries : St Austell : 18 April 2012 : Pet Name: Lucky,Trixie. Thank goodness for Amy and her much appreciated Cat visiting/feeding service! Having just moved in to the area and therefore knowing no-one to feed the puss cat while we're away we were in a right pickle. Luckily a search on google brought up Amy's website. From our first contact Amy has been professional, courteous and kind with an extremely flexible approach to our needs, even on very short notice! Our cat is not the most sociable of creatures but loved Amy from their first meeting - her way with animals is extraordinary and just what we hoped for. The pictures and text updates while we're away are very reassuring and Tom is always utterly content and untraumatised on our return. As an alternative to the potentially stressful, and expensive, cattery accommodation I cannot reccommend Amy's service enough. Absolutely invaluable and we are SO pleased she has set up this wonderful business which we will use again and again. 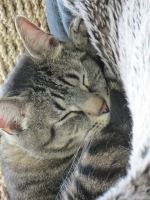 Mr Holman : Gorran : 09 January 2012 : Pet Name: Tom. We chose 4Paws Pet Care to help us in the socialisation of our 11 month old Whippet puppy, Merlin. Although well socialised as a pup, and quite a confident little dog, he has become too used to our company, and we felt he needed to be left with other people who could distract him and thus help him be a little less dependant and anxious when left without us for longer periods. Amy has taken him out with other mixed breeds of dog for whole afternoons of walking and play, which helps when we leave him or when we have unfamiliar visitors to the house. Amy's confidence with all breeds of dog is evident in the way in which they respond to her and seem to enjoy the experience. Mr Dingle : St Austell : 27 October 2011 : Pet Name: Merlin. Amy's help has been invaluable over the past few years! Amy has helped us with all our dogs over the past four years. We have a Great dane called Lizzie and a crossbread called Alfie. They both get so excited when Amy comes to take them for their walk. My husband and I both work full time and it is such a help to have Amy take them out on our busiest days. We also had a ridgeback x GSD who had been returned to the NAWT twice because her previous owners couldn't cope with her. Amy was such a help with her training and rehabilitation. Unfortunately we lost her a couple of years ago but she turned out to be a lovely loyal dog and much of the credit was due to Amy. We have always found her to be honest, trustworthy and she loves the dogs. I have no hesitation in recomending her to anyone. Mrs Bird : Traviscoe : 27 October 2011 : Pet Name: Alfie, Lizzy. SO GLAD WE FOUND AMY!!!! We have, until recently, been lucky enough to have friends happy to feed our quite elderly cat Polly for us if we went away but illness meant that we had no one at short notice to come and look after Polly for a couple of days last week...I browsed the internet for someone locally without much hope but somehow managed to find '4 Paws Pet Care' and left a voicemail message. Amy got back to me very quickly and we arranged a time for her to come and see us...we were immediately impressed by her professonal and pleasant manner and she was very organised and seemed to have everything covered! While we were away Amy texted and emailed to confirm that Polly was absolutely fine...we will definitely be using her services again and, as I have told her, now that we know we can call on her it may encourage us to go away more often! Ms Mast : Bugle : 21 October 2011 : Pet Name: Polly.